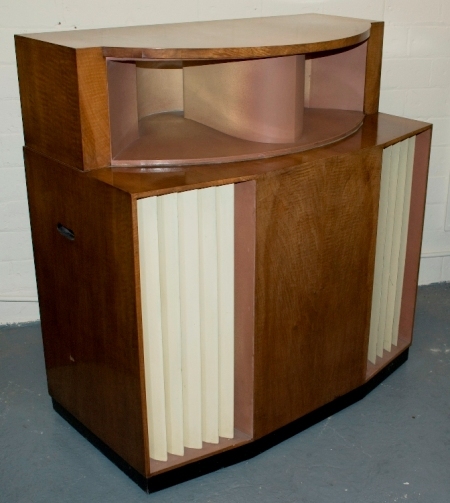 In 1951 Lowther released the incredible "Lowther Hegeman" reproducer at £150-0s-0d, which was three-times the price of a Lowther Voigt domestic corner horn. This monster measured four feet wide, four feet tall and two feet deep. 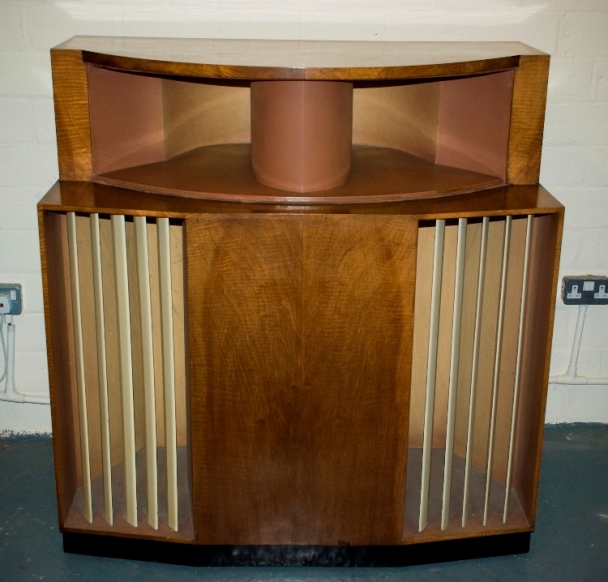 The newly-developed PM4A drive unit was fitted inside a large horizontal plaster horn, giving an amazingly wide dispersion of mid and treble frequencies. 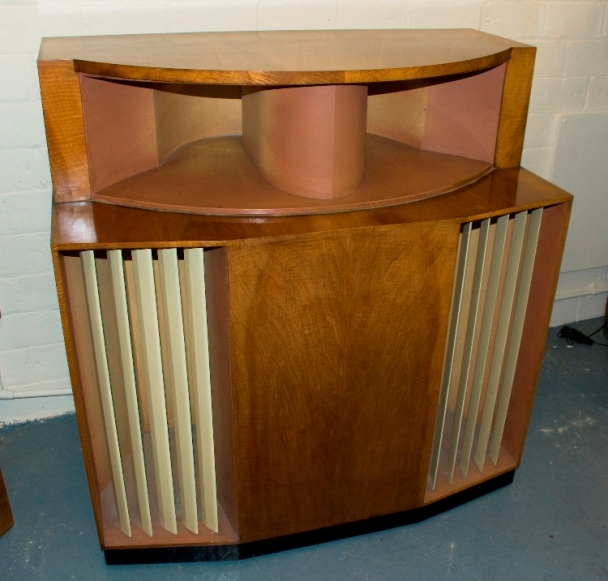 The design of this speaker resulted from a collaboration between the American Stuart Hegeman and Donald Chave of Lowther.